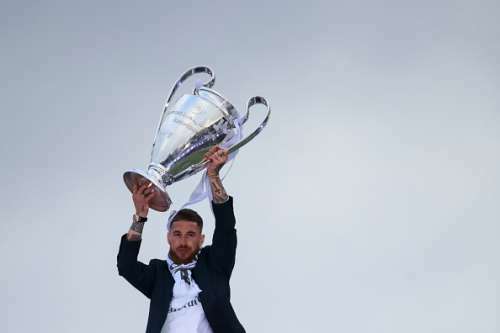 Zinedine Zidane's Real Madrid got better of their city rivals at San Siro to lift an unprecedented eleventh European title. It was Diego Simeone's second defeat to Real Madrid in as many Champions League finals. Sergio Ramos put Los Blancos in front with a sneaky goal through a set piece. But his goal was cancelled out by an inspiring one by the Belgian sensation Yannick Carrasco in the 81st minute, forcing the game into the extra time. However, lady luck shone on the All Whites as they nicked the game by winning the penalty shootout. More often than not, small moments define the outcome of a close game. So here's a look at the players on how they handled their moments in the game. He did well to unnerve Griezmann while taking his penalty. The Costa Rican may have looked solid in the first half of the game but he was made to sweat for most of the second half and to some extent the extra time as well. He made a nervy start to the game and was almost on the verge of being sent off. The Spaniard somehow managed to get his act together as the game progressed but he was uncomfortable in Carrasco's presence. Sadly, had to limp off the pitch due to an injury in 51st minute. Cometh the hour, cometh the man! The mercurial Ramos yet again rose to the occasion by leading from the front. He was simply unstoppable tonight. He was at his dubious best as he grabbed some unwarranted attention with his theatrics. He did well to keep Fernando Torres quiet for most of the game, despite conceding a penalty in the second half. The Brazilian was a livewire for 120 minutes on the pitch. He was by far the best offensive player for Madrid on the pitch, especially in the latter stages of the tie. For a change, he was strong in defence as well. He looked solid in the first half but he withered away in the second. He did well to shield that Real Madrid rearguard throughout the 120 minutes. The highlight of his game which earns him this rating are his bursting runs through midfield. The German gave much needed legs to the Real's midfield triumvirate. He kept Real in the driver's seat during his stay on the pitch and also made life wrecking hell for Atletico's Augusto Fernandez. It was his substitution which gave Atleti a way back into the game. Real's midfield wizard was kept in check by Simeone's captain, Gabi for most of the game. He had a few moments here and there but lacked rhythm and consistency to run the game from midfield. He led the Real's attack as he looked like the club's new talisman. He might've had a subdued night on attacking front but he contributed immensely with his workrate and defensive nous. He was the pivotal to Real's attacks throughout the game. He clearly looked unfit for the game and this was evident in the latter stages of the game. The Portuguese talisman failed to stamp any authority on this game despite playing for 120 minutes. Despite everything, he had his finale moment by scoring the winning penalty. Real Madrid's attacking spearhead clearly looked out of his depth. Had a very pedestrian game but he did well to hold onto possession in Atletico's half, which is a daunting task in itself, earning him an extra point in this ratings. He was bullied into a corner by Yannick Carrasco for almost all his time on the pitch. And it was his fault, which led to Atletico Madrid's equaliser. He could've done better with his positioning against Carrasco. He was brought in to land the killer blow to their city rivals in the finals. But the Spaniard failed to do so. Had a pretty ordinary game. The youngster was brought in to add some spark to a flaccid Real Madrid attack. Alas! He couldn't do so in the game but was exceedingly calm during the shootout as he converted the opening penalty.